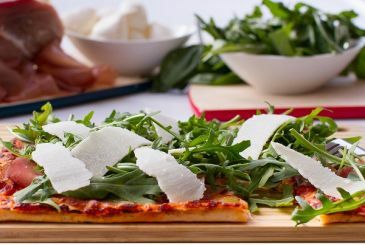 Arrivederci Catering - Voted the best pizza in Brisbane, Arrivederci provides authentic Italian cuisine and exceptional corporate catering. Call (07) 3369 8500 today. How big are our pizza's? How big is your boardroom?! While we are famous for our Pizza's we also cater other yummy options. Not sure what size you need? Where do we deliver? How much food will I need? Ask us anything you like! Need some advice? Why not read what our customers are saying about us? We are standing by waiting for your order. Voted best pizza in town by listeners of 97.3 FM. 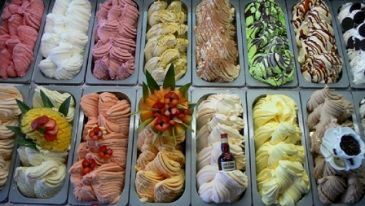 Located on Park Road in Milton, Arrivederci has been one of Brisbane’s favourite caterers for more than a decade. With a menu of delicious pizzas, pastas, gelati and more, we offer exceptional food for any occasion with a loyal customer base that come to us from all over the city to experience authentic flavour. Our expert chefs have years of experience in the trade, and hold a genuine passion for providing mouth-watering cuisine to each and every one of our customers. Creating an impression is of vital importance when hosting a function, and offering guests a delicious feed is a great way to help them feel comfortable. 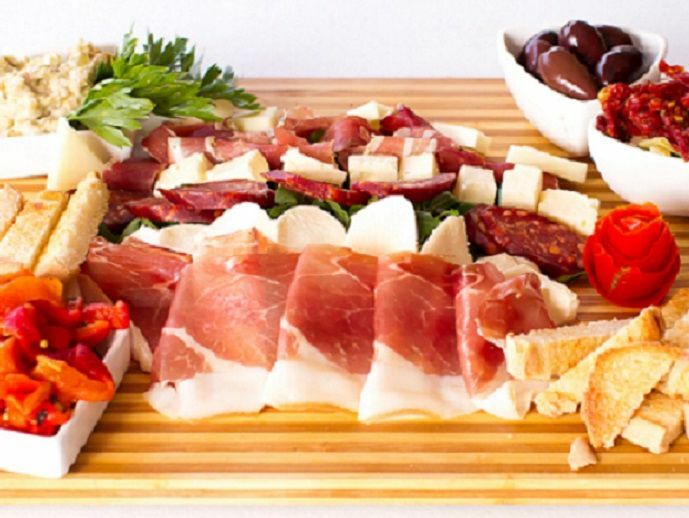 At Arrivederci, our team has years of experience providing corporate catering for a variety of clients, and put together fantastic feasts that will impress your staff and your clients. We only use the freshest ingredients delivered to us daily from trusted suppliers, so each and every meal we prepare is to a standard that we can be proud of. If you have any guests with dietary requirements, there’s no need to worry — we can provide an option for everyone to enjoy. 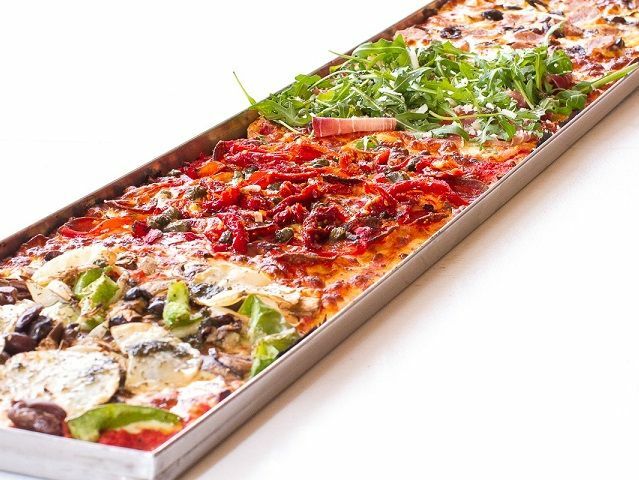 For something different when catering for a large group, we can even serve pizza by the metre — so sit back and relax while the experts take care of the food! We deliver any orders within the Milton area, with a small fee for delivery to the outer suburbs. Any online orders are only guaranteed if made one day prior — give us a call directly for same day delivery of your order. Be sure to sign up to our mailing list for news and special offers. 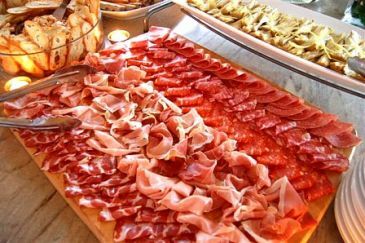 To make an order or enquire about our corporate catering in Brisbane CBD, Toowong, Milton, Paddington and beyond, give our friendly team a call on (07) 3369 8500. Otherwise, you can send us an enquiry online and we’ll get back to you as soon as possible. Come to Arrivederci and experience the difference! "Thankyou Arrivederci. Our lunches from Arrivederci's are always popular, with such a variety to choose from, there is always something for our staff members who have special dietary requirements. The food is always fresh and arrives hot. It is difficult finding food that suit everyone but you never let me down."